Sharpe Images is pleased to announce the acquisition of Car-Vir. Car-Vir, located in Goldsboro NC, is an electrical distribution company specializing in the di-electric testing of gloves, sleeves, blankets and line hoses for electricians and utility lineman. As a certified di-electric tester, Car-Vir has been servicing clients throughout the country for over 40 years. "We have a lot of the same clients for different services so it seemed like an excellent opportunity to cross sell services and clients." says John Beachem, Sales and Operations manager of Car-Vir. Sharpe Images will relocate Car-Vir to a larger facility in Goldsboro in the coming months and add printing, safety supplies, equipment, and software capabilities to the location. "We want to make sure we are able to provide all of our services to eastern NC. The addition of Car-Vir will allow us to increase our capabilities and footprint to better serve our clients." says Zane Sharpe, Vice President Sharpe Images. This entry was posted on June 5, 2015 at 12:40 PM and has received 27700 views. There are currently 807 comments. Print this entry. This entry was posted on January 2, 2014 at 12:22 PM and has received 33182 views. There are currently 970 comments. Print this entry. NextCall was launched in June of this year as a call service built in to the pre-construction module of NextPlans. Estimators can identify where they have not gotten good initial response and prompt the call service by trades needed for that project. Local call center representatives then contact subs on behalf of the General Contractor to determine whether or not the subcontractor is going to bid the project. That information is then put back into the bidder call report in NextPlans for the estimator to review and have for future evaluation. CE Magazine: NextCall was launched in June, but just now seems to be gaining strides, what's changed? Stephanie: We worked hard to promote the service to our existing clients and through that marketing and inner soul searching by our clients we have really picked up momentum these last 2 months. CE Magazine: What do you mean when you say inner soul searching by your clients? 3) It would take away from the personal touch of calling a sub yourself for their pricing. CE Magazine: How are you addressing or have you addressed these concerns? update that information in the reporting as well. Any scope questions we refer them back to the invitation and the estimator for the project from our GC client. CE Magazine: What about concerns 2 and 3? Stephanie: These concerns are where the real inner soul searching comes into play. Our clients have to feel like the calls they need to be made aren't being made. A lot of money can be spent in pre-construction before the GC even has the job so they really have to evaluate their time & cost versus the NextCall service. If you can put together pricing on 2 projects in the time it would ordinarily take you to do 1 it seems like a good fit. You aren't wasting any time calling for clarification of bid intention, you are calling to answer scope questions, sway someone off of the "Undecided" list, or follow-up on a quote that's due. CE Magazine: So, no personal touch gets lost from using the NextCall service? Stephanie: None what-so-ever. If you look at it like a sales pipeline, we are warming the leads. An estimator will know who to call to give that personal touch too. A good example we see a lot of; "Not sure yet", "We have a lot going on", "Please have the estimator contact me". These are people on the fence where personal touch is needed. Senior estimators can better train entry level estimators by immediately being able to go into in depth conversation with a prospective subcontractor. CE Magazine: Is there any other information an estimator should know about the service? Stephanie: Definitely. We find a lot of times after the call service has been requested on a project that a lot of the contact information in the GC database is outdated. We update the information, and resend the invitation for the client. That information is then entered into the reporting interface for their reference. This entry was posted on December 31, 2013 at 1:58 PM and has received 22117 views. There are currently 561 comments. Print this entry. Resources and time are critical from one construction project to the next. Every business aspires to utilize limited resources in order to produce or execute an efficient and cost-effective operation. True to form, a big percentage of total cost on construction projects is allocated to time and administration. Document control is an area of admin that begins at the onset of a project, and lasts long after the tools are collected off a job-site. For instance, architectural firms may base 35-45% of their fee on the time exhausted on managing construction documents alone, and another 25-30% on administration during the construction phase according to the Royal Architectural Institute of Canada. Likewise, the Houston Chronicle reports that engineering fees breakdown to final design services and paperwork at 45 percent and construction administration at 20 percent. Subsequently, Project Close out is the last major phase of a project's life cycle where collecting, completing, and archiving project documents is one of the most significant in terms of time and resources used. It would seem that since document administration is a relatively known and necessary issue to tackle during a construction project that there would be many more tools out there catering to the needs of small and large contractors, design firms, and engineers. The concern is clear... a construction firm, in whatever capacity, builds buildings. Their wheelhouse is not document control, nor should it be. In the face of this dilemma, companies turn to the abundance of technology drowning the marketplace in one file sharing service after another. The hope, is to get on board the digital revolution and assuage some of these trivial troubles. In reality, what happens is the opposite. Lean construction takes a back seat to loading up office engineers and field staff with resources that simply drain more and more of an employee's billable time. Valuable time that could be devoted to greater efficiency of the construction itself, not towards quality control, indexing, and naming of the document packages that are issued for the project; Not towards the collection of information from Subs, and the distribution of information to project participants. Did you know that the IRS offers tax tips that state a construction company can deduct General & Administrative indirect costs? These costs are those associated with running the company, but not tied to a specific job. In that case, wouldn't it be nice to have an added general administration service that saves both your employees time, labor, and cuts down on direct costs that are currently being utilized on a job, while creating added financial benefits for the company? Many web-based tools on the market merely create more cumbersome processes, and take an abundance of time to navigate and provide the appropriate end user support. Isn't this just what construction managers don't want? What's missing from all of these systems is the human element. These technologies are propositioned as a solution when really they only increase the burden on what may very well be a busy and overworked staff already. The NextPlans system is one of few that it is completely designed for the construction industry alone and is a tremendous solution for this over-reaching problem. It provides total accountability, quality control, reliability, and efficiency when it comes to document control procedures. It simply integrates with a company's current business practices in order to deliver the most effective execution of project administration from pre-construction to Close out, facilitating the admin so you don't have to. Incorporated within this, is a team of professionals that are completely focused on end user support and outstanding service. This entry was posted on November 15, 2013 at 5:02 PM and has received 49348 views. There are currently 746 comments. Print this entry. Are you wasting time with technology? We were recently onsite with a project team from a US Top 10 Healthcare Construction Management Firm. This project team has a multi-project contract with an owner that will run for the next 5 years. This project team is responsible for pre-construction and operations for each project. Our goal was to get a complete understanding of how their cloud-based technology infrastructure was benefitting their job site team for pre-construction and project management collaboration. We sat down with two members of the team that had built a document management folder structure on a cloud based program called Box. This solution included an extensive folder structure with access to information such as RFIs, Submittals, Progress Sets, and even bid documents for each project. They were accessing the information via their iPads and bringing up on dual big screen TVs in their job site trailer. Read the interview below to see how suprised we were to see that this system has actually created bottlenecks in their workflow and actually decreased their efficiency. NP: First, let's talk Pre-construction. One of our most frequently heard pains is that it simply takes too much time to contact the subs to find out whether they intend to bid a project. How do you solicit subs? A: We add the subs email addresses manually to Box and send them a link to the project files. NP: How many subs per trade do you invite? A: We try to invite 5 to 8 subs per trade but have to make sure we can find that many. Often times because we are relatively new to the market we have to use other resources to find those subs. NP: How do you know if a sub intends to bid a project? A: We can see if they previewed the documents or downloaded them through the reporting in Box. NP: If they've previewed the project, does that confirm that they are going to bid? A: No, We have to call all the subs in the critical trades and most of the other trades depending on how our coverage looks already. NP: How do you document bidding intentions in Box? A: We track responses in Excel. We input the information manually. NP: That sounds like a headache. How much time do you spend making these phone calls and tracking these responses? A: On the last project we spent two weeks on the phone with subs. Does this sound familiar? If so, check out our Bid Reminder Services at NextPlans. One easy set up allows you to send automatic reminders to your subs on any schedule you choose. Our tests have show that this service drastically reduces time spent on phone calls and increases response rates by as much as 500%. We continued our discussion, moving on to their method (using Box) for project document management and collaboration. NP: Your folder structure is very organized and detailed for storing documentation during the construction process. How do you use it to exchange information between project team members? A: We actually just share information with team members through our site. NP: Can those team members share information back to you through the site (Designers, consultants, subs, owners)? A: No. Mostly information is sent to us via email from project team members and then we log it in Box. NP: Is Box, then, more of an internal mechanism for you to store information? A: Storing and sending out information at this point. We have been unable to fully collaborate through the system. NP: Speaking of collaboration, can all participants annotate and comment within Box on project information? A: No, we actually use Bluebeam to annotate. I am sure that others annotate within their own mark-up tools or mark-up hard copies. NP: So, without a fully integrated file exchange system and a check-in/check-out annotation process because all project team members are using different annotation tools, you are not really collaborating in Box? A: No, I think the benefit is more for us internally at this time. NP: We noticed that you have standard sheet names on the drawings, do you have to keep a drawing log for the project? A: Yes, we keep a drawing log and track the information in our Construction Management software. NP: Who is responsible for the file naming of drawings and specifications? A: We do that before we upload the information to Box. NP: How much time does that take? A: It depends on the amount of information that has to be named. The more documents, the more time it takes to name them. NP: On a multi project contract, how do you anticipate managing all of this in addition to you other responsibilities once you have more than one active job. A: We anticipate bringing in an Office Engineer or two if it becomes too much to handle. This entry was posted on September 9, 2013 at 5:46 PM and has received 39888 views. There are currently 1452 comments. Print this entry. This entry was posted on June 19, 2013 at 11:59 AM and has received 56121 views. There are currently 685 comments. Print this entry. NextPlans, an industry leading provider of construction performance management software and tools, is pleased to announce a partnership with Cadnetics. Cadnetics is a firm that offers CAD, BIM, 3D Laser Scanning and other consultative services. They are headquartered in Pittsburgh and do work throughout the United States. Zane Sharpe, Vice President of NextPlans said, "We are excited to be able to offer our end-users access to a company that can fulfill an immediate need. " Sharpe also added," With more and more project utilizing modeling for coordination, subs and vendors can use Cadnetics as a turn-key resource rather than absorb new software and overhead costs." Jim Mauler, President of Cadnetics stated, "NextPlans provides service to over 100,000 end users in just about every market-sector of construction. Our experience in the Southeast on wide-range of projects makes this a good partnership." Click here for more information on Cadnetics. This entry was posted on April 2, 2013 at 10:18 AM and has received 14088 views. There are currently 359 comments. Print this entry. This entry was posted on February 11, 2013 at 5:42 PM and has received 12770 views. There are currently 354 comments. Print this entry. 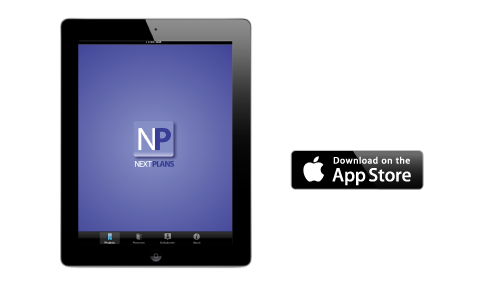 NextPlans, an industry leading provider of construction performance management software and tools, is pleased to announce the release of their iPad app for NextPlans. With NextPlansMobile your iPad is your gateway to view, store and annotate the documents you access on the NextPlans project delivery system. Eric Benson, lead developer of the app and architect of NextPlans states, "The evolution of construction document distribution and management continues with the iPad. Most other apps lean towards project reporting or analytics for contractors, which doesn't solve the problem of having a full set of project documents available anywhere at anytime. NextPlansMobile allows users to download and store documents on an iPad, annotate them and re-distribute the annotated documents from virtually anywhere using a cellular network or wifi." NextPlans offers a suite of web-based construction project management tools for communication, collaboration, document management, vendor and subcontractor qualification, and bidding management. The utilization of NextPlans tools can be utilized by all members of a project team and NextPlansMobile is another service that will continue that trend. "We wanted to start the foundation of our app around maximizing utilization of the iPad touch-screen, and walking the jobsite with drawings at your disposal to quickly edit and distribute is the clearest intent for the utilization of an iPad in construction," said Chris Perkins, NextPlans' Director of Technical Services. NextPlans' development team reviewed several construction industry related studies that indicated that Construction firms justified the purchase of iPads and other tablet devices specifically for field personnel. Chris Perkins added, "As we continue to develop releases for our app, we will prioritize them around the needs of our clients' and their most mobile personnel." This entry was posted on November 29, 2012 at 7:12 PM and has received 16388 views. There are currently 399 comments. Print this entry.